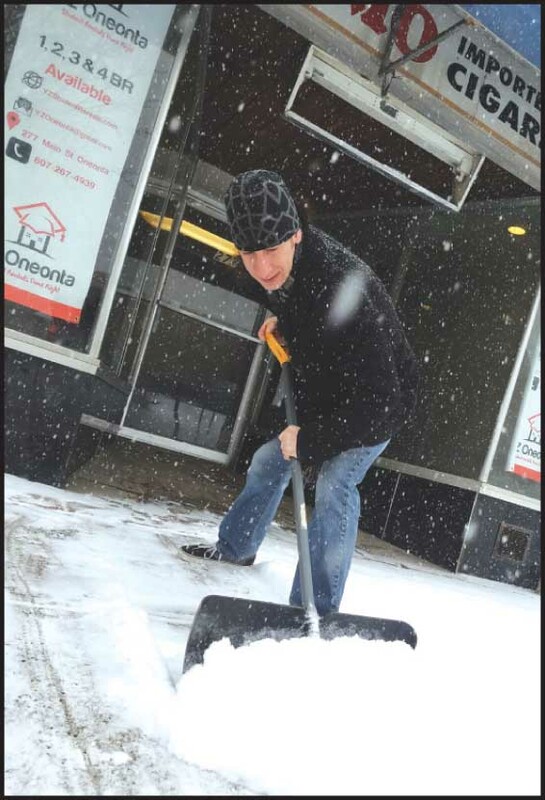 Ian Austin/HOMETOWN ONEONTA – Mark Carbone, manager at Y2 Student Rentals, shovels snow at the Main Street location as the storm barreled down on Tuesday, Feb. 12. ONEONTA – The consultants at Webb Management will give their final recommendations for a five-year business plan for the Oneonta Theatre at 5 p.m. Tuesday, Feb. 19 at Foothills. The performing arts management consultants, who shared their initial findings in December, will report on their study of the local demographics and tourism data for our area and region, and give an overview of their recommendations for a five-year business plan, as well as estimates of restoration costs and devloping an arts and culture center. 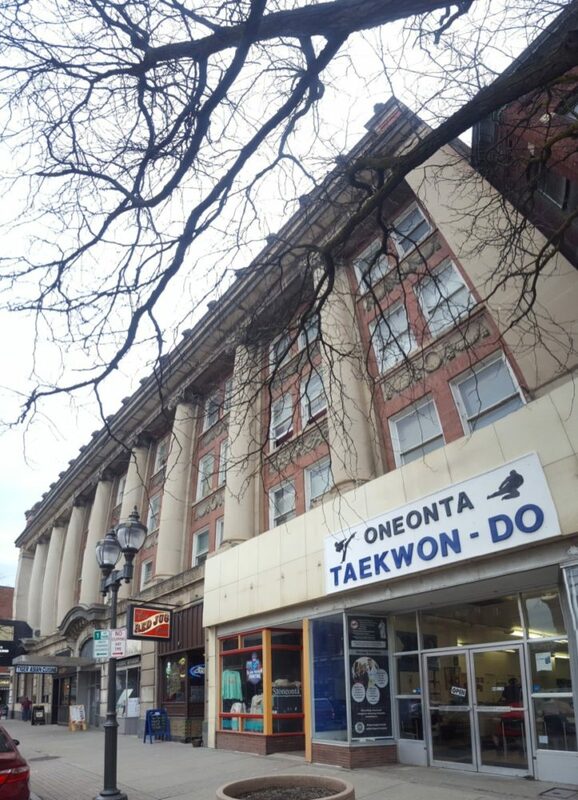 ONEONTA – Two years after City Hall first declared the former Oneonta Hotel unsafe for occupancy, Judge John F. Lambert ordered the remaining tenants vacate the building by Thursday, Feb. 7. 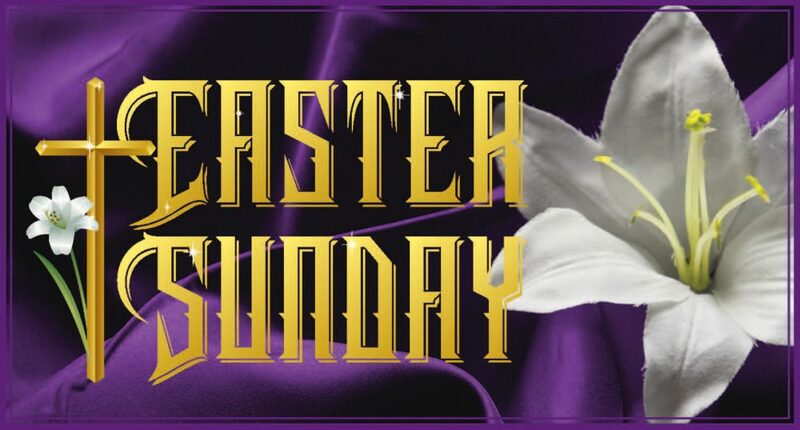 By Lambert’s order, any tenants who remain in the building after 4:30 p.m. on the 7th will be removed the following morning by sheriff’s deputies. Oneonta Hotel co-owner Melania Pervu confers with Manley. 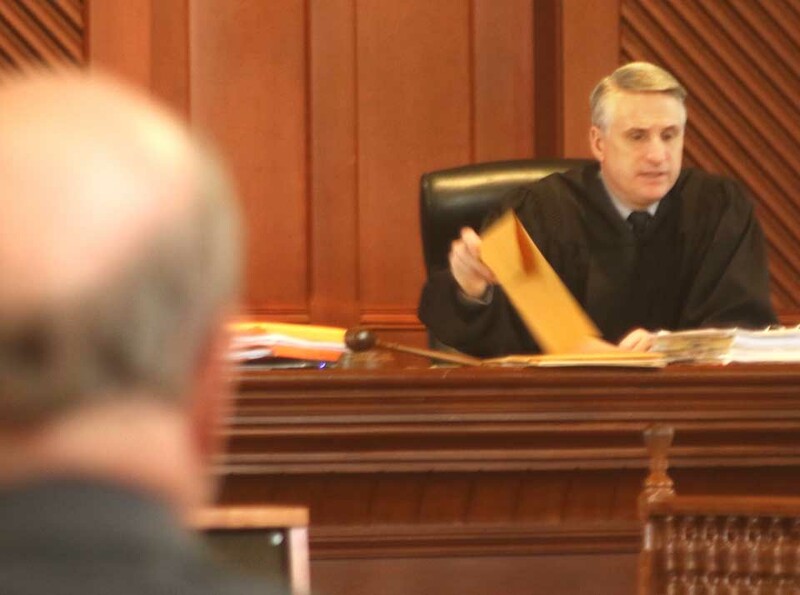 COOPERSTOWN – County Judge John Lambert, presiding in state Supreme Court here, a few minutes ago ruled the former Oneonta Hotel must be vacated by Thursday. 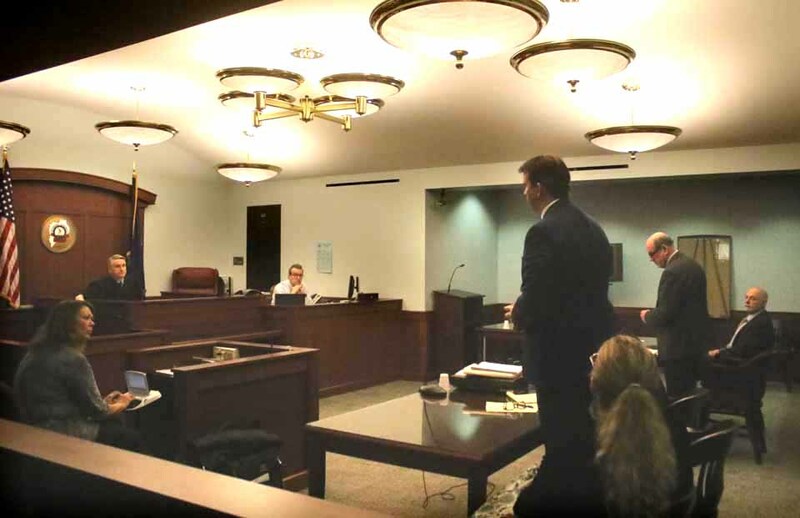 “Ultimately, the judge recognized the imminent danger and took action,” said Oneonta Mayor Gary Herzig, who attended the session. The City has called Melania and Nicolae Pervu, owners of the former Oneonta Hotel, on the right, into Otsego County Court on Tuesday, Feb, 5 with an Order to Show Cause, following the failed building inspection and two incidents of a carbon monoxide leak from a malfunctioning boiler that forced the evacuation of 189 Main St., at the corner. 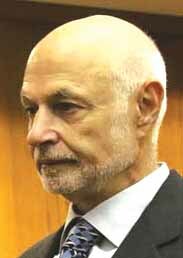 ONEONTA – Accusing 195 Main Street owners Melania and Nicolae Pervu of “gross negligence” and warning that they are “approaching criminal behavior,” the City of Oneonta will ask County Judge John Lambert to shut down the former Oneonta Hotel during a hearing on Tuesday, Feb. 5. 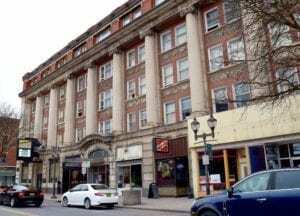 Since the initial inspection on Tuesday, Jan. 15, which the building failed, Merzig noted, two “serious and life-threatening incidents” related to 195 Main St. were reported. Ian Austin/HOMETOWN ONEONTA – Oneonta Assistant Fire Chief Jim Maloney (dark classes) enters 189 Main after it was evacuated Monday, Jan. 28, for a second time, by fumes from the former Oneonta Hotel next door. At left, city Code Enforcement Inspector John Hester and Stephen Yearly follow. 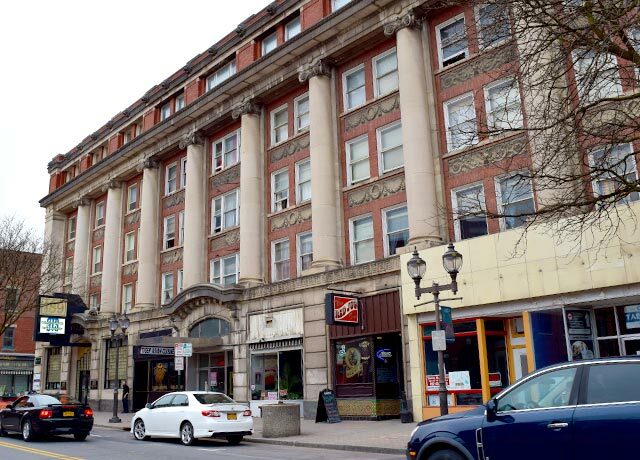 Mayor Gary Herzig did not mince words after carbon-monoxide leaks from the former Oneonta Hotel cause the adjacent 189 Main professional offices next door to be evacuated twice in four days. 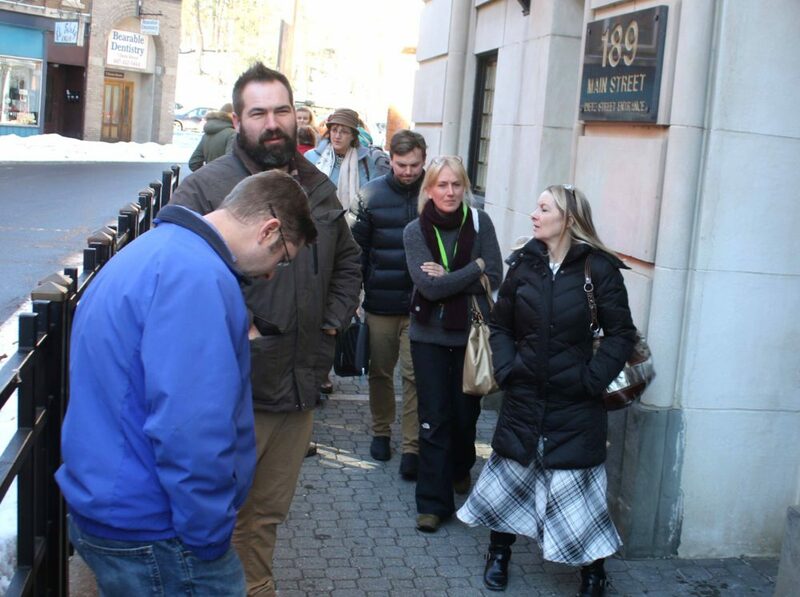 ONEONTA – The carbon monoxide leak at 189 Main St. that drove employees from their offices and sent six people from the hospital came from the boiler in the basement of the former Oneonta Hotel, Mayor Gary Herzig reported this afternoon. On Friday, a malfunction in the same boiler also caused carbon monoxide levels in 189 Main St. to rise, sending off alarms and prompting a building evacuation. 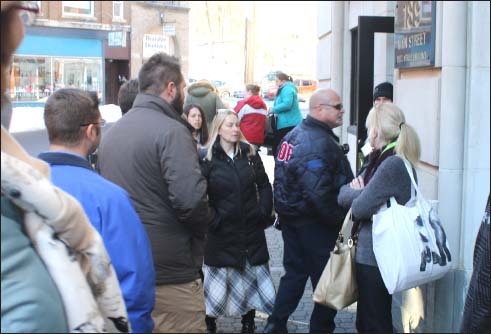 ONEONTA – A woman was hospitalized at late morning today and all the office and professional workers at landmark 189 Main St. were once again evacuated for high levels of carbon monoxide, the second time in four days. 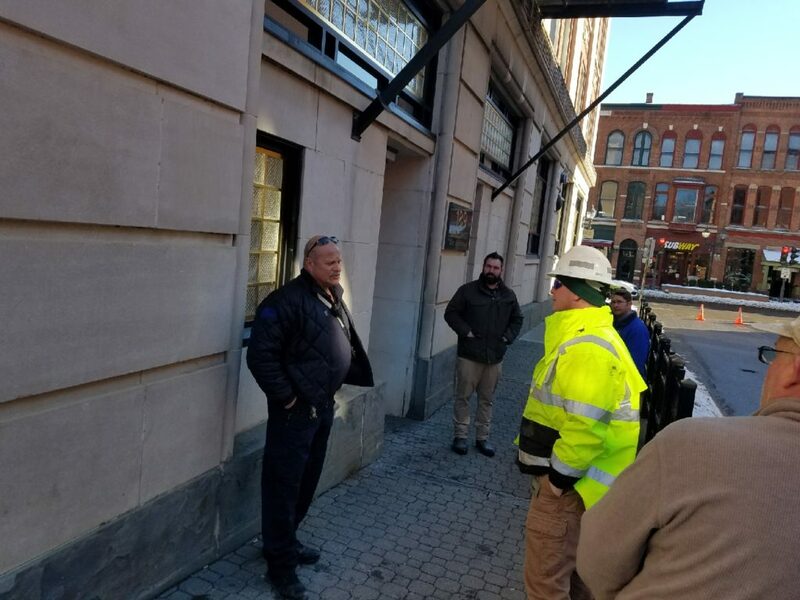 The building was also evacuated Friday due to carbon monoxide from a faulty boiler at the former Oneonta Hotel next door, but Assistant Fire Chief Jim Maloney today, interviewed at the scene, said the source of this second contamination was still being investigated. 189 Main is at the corner. The former Oneonta Hotel is to the right. ONEONTA – Nicolae Pervu, owner of the former Oneonta Hotel at 195 Main St., allegedly threatened a City of Oneonta Code Enforcement Inspector after he reported to the scene of a malfunctioning boiler that filled the building at 189 Main with carbon dioxide. 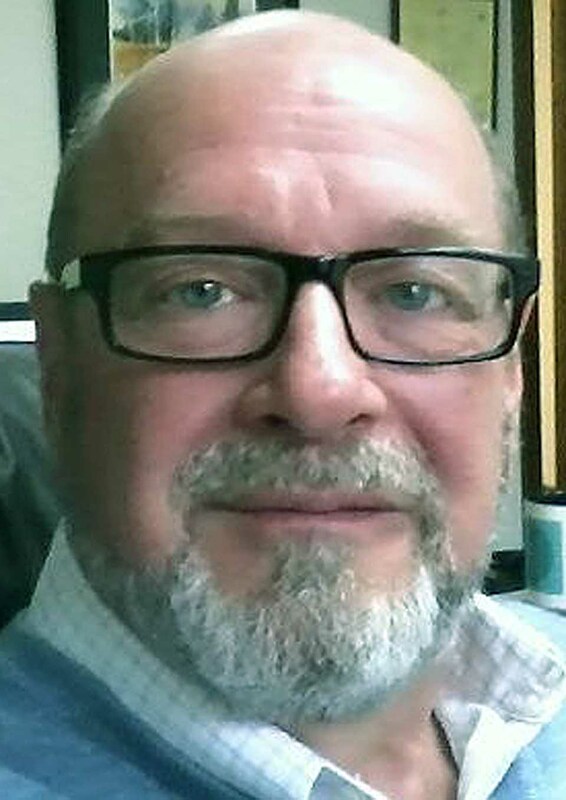 “Our inspector left the building because he felt threatened by Mr. Pervu,” said Mayor Gary Herzig. The issues began with the Oneonta Fire Department responded to 189 Main, where carbon monoxide detectors were going off. Firefighters found high levels of carbon monoxide in the building and evacuated the tenants, which include the offices of LEAF Inc, Otsego Now and several law offices. 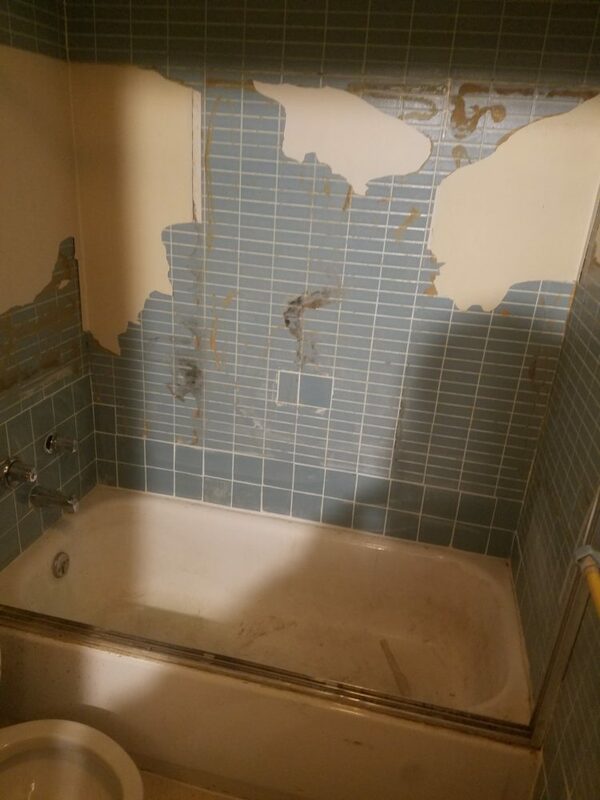 A shower stall with peeling paint and missing tiles was one of the images contained in a report that followed the city’s Code Enforce Office report on 195 Main St. after a Tuesday, Jan. 15, inspection. 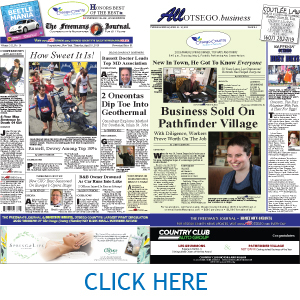 ONEONTA – The waiting game is coming to an end. 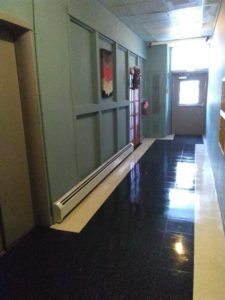 City Attorney David Merzig and building owner Melania Pervu met with County Judge John F. Lambert’s law clerk in Cooperstown this morning, following the release of the inspection report into the former Oneonta Hotel at 195 Main St. that showed filthy bathrooms, holes in walls and ceilings and tiles covering the sprinkler system. According to Merzig, the clerk recommended that the city bring an Order to Show Cause to the judge, recommending punishment for the Pervus – Melania and her husband Nicolae – for failing to comply with Lambert’s September order that the building be brought up to code by Jan. 11. 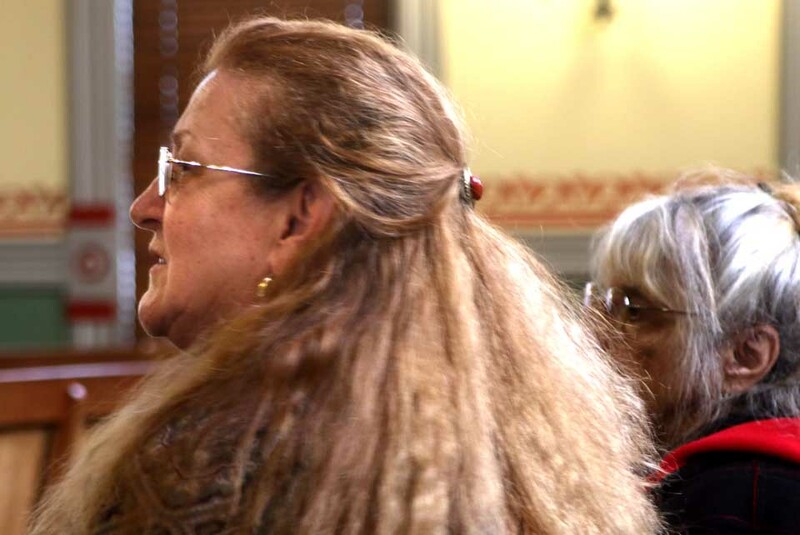 The order will then be presented to the judge for his ruling. On Jan. 15, code inspectors from Oneonta City Hall conducted a court-ordered inspection of the old Oneonta Hotel, 195 Main St., the latest step in attempts to get the apartment building repaired after it was found unsafe by the city Board of Public Service in January 2017, two years ago. 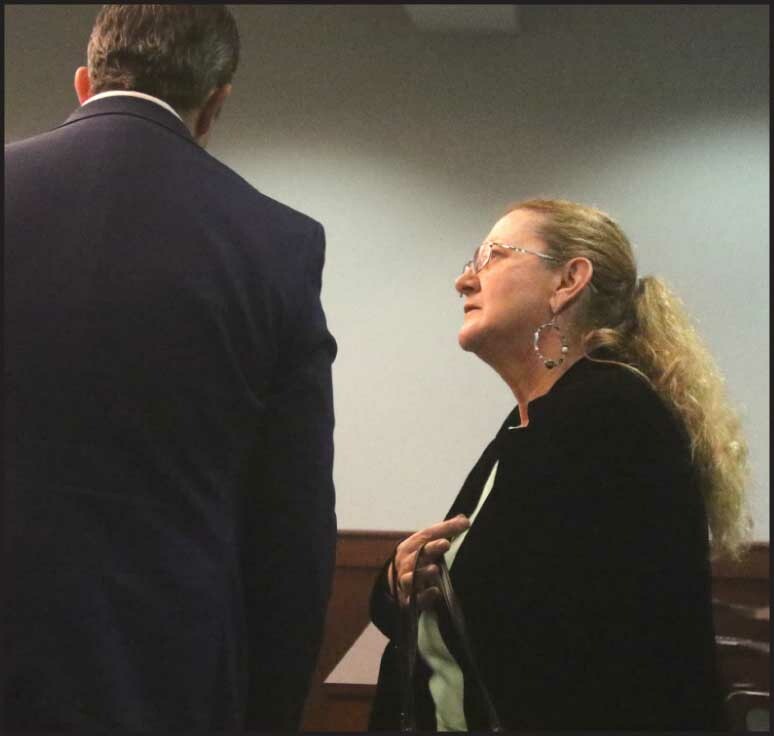 City Attorney David Merzig and the landlords, Melanie and Nicolae Pervu, are due to appear before Judge John F. Lambert in Cooperstown tomorrow (Thursday) in hopes of getting a final resolution. 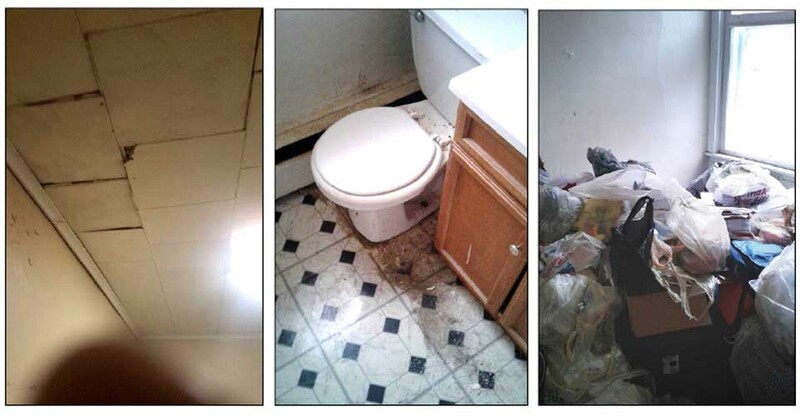 From left, photos show ceiling tiles covering the sprinkler system; a deteriorating bathroom, and piles of garbage. 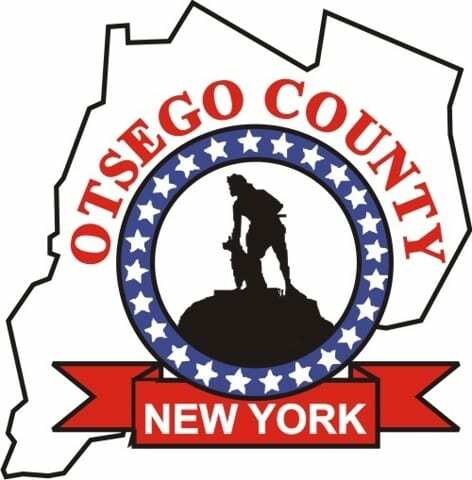 The photos and reports were obtain by a Freedom of Information Act request filed on behalf of www.AllOTSEGO.com, Otsego County’s Daily Newspaper/ONLINE. 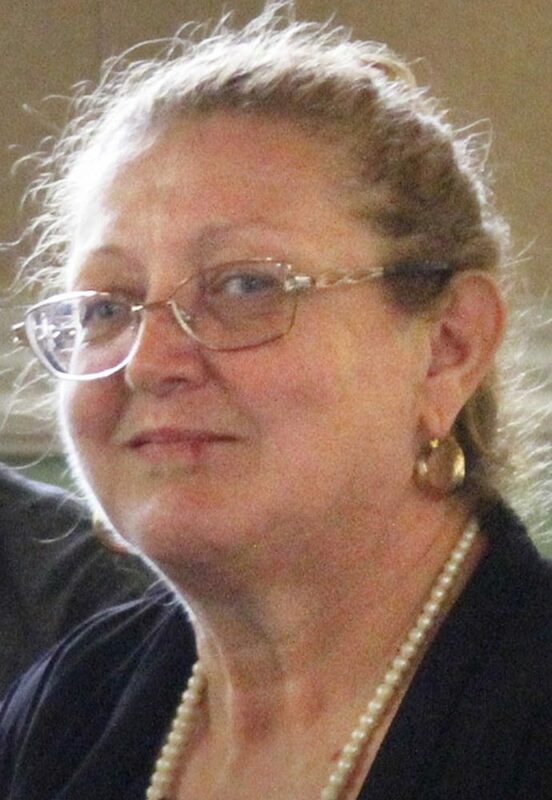 ONEONTA – Citing missing kitchen appliances, holes in the ceiling and a blocked sprinkler system, among nearly a dozen pages of code violations, the City will argue that Melania Pervu, owner of the former Oneonta Hotel at 195 Main St., has failed to remedy the unsafe conditions of her building, as ordered by County Judge John Lambert last September. 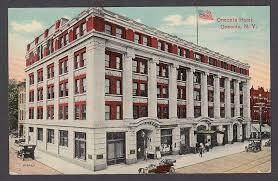 The former Oneonta Hotel, 195 Main St., in its glory days during the first half of the 20th Century. 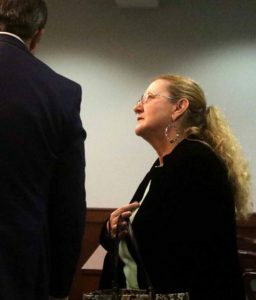 ONEONTA – In an order by county Judge John Lambert, owner Melania Pervu must make all repairs to the building at 195 Main St. before the Jan. 11, 2019 deadline or she could be held in contempt of court, according to a decision made Friday, Dec. 7. “The city believes she violated the order, but understands the reluctance to issue a vacancy order before Christmas,” said City Attorney David Merzig. ONEONTA – Citing an insufficient building permit application, the City of Oneonta will once again bring the owners of the former Oneonta Hotel to court. “The application did not even come close to remedying the deficiencies,” said Mayor Gary Herzig.